My sister, sister-in-law and mother-in-law all decided to feed my habit. How great are they?!!!? 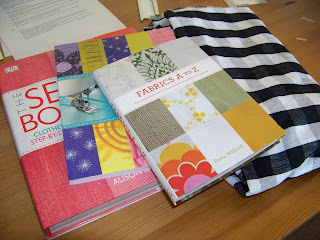 I now have Dana Willard's Fabric A-Z to assist me with buying fabric online and in the store. I also have Wendy Gardiner's Sewing Machine Accessory Bible Machine which has already been a great help in deciding which extra feet to order for Christmas. 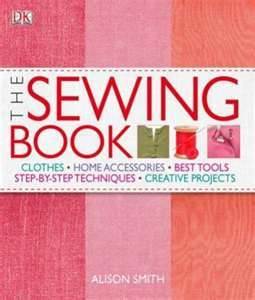 My lovely sister-in-law gave me The Sewing Book Step by Step which is just fabulously detailed in every way. And last but not least my baby sister got me my very own picnic blanket skirt fabric. It won't be exactly like Tilly and the Buttons version, because I am a bit triangle/pear shaped and a gathered skirt like that makes my hip look enormous.